Get your style correct and be seen wearing Stacy Adams shoes. Stacy Adams makes their great looking dress shoes for the style minded man who knows what style is and isn't afraid to handle it. 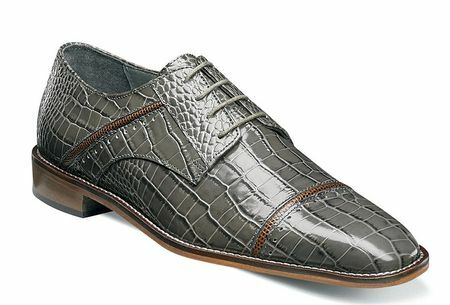 These gray Stacy Adams shoes features an alligator style leather upper with contrast trim in a sleek smooth style that will look great with your suit collection.